Make conferences smooth and fluid with the touch of a single button. Conferencing systems do not need to be difficult to operate. AstroServe's solutions cut down on setup and teardown time, allowing you to focus on the meeting itself. Additionally, using a video conferencing system will enable real-time two-way video and voice communication, bringing together people in multiple far-flung locations, not only within your own country, but also across borders. This results in reduced costs and the elimination of the hours that would otherwise be devoted to moving groups of people. AstroServe's remote conferencing solutions enable two-way video and voice communication, bringing together people in multiple locations, across great distances. This makes it possible to have meetings not only across your own country, but also across borders, resulting in reduced costs and significant savings on travel time. 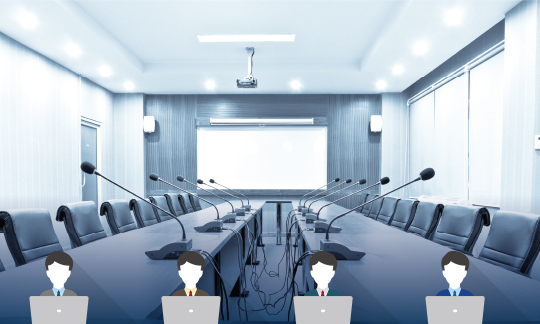 By applying our unique industry experience, we have succeeded in developing a system that combines video conferencing with simultaneous interpretation. 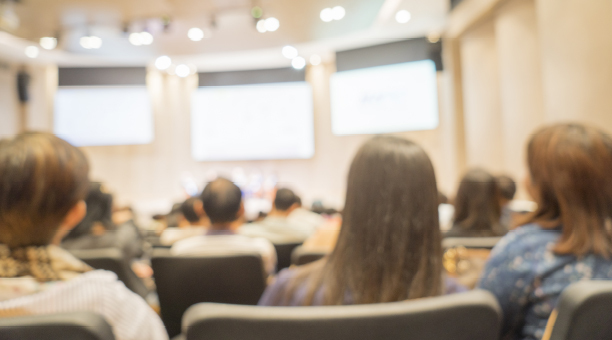 When your company has a conference involving personnel in multiple locations, you only need your interpreters present at one of those locations. GCS does the rest, streaming spoken interpretation to all locations. Conference attendees can individually select between the original voice feed, English interpretation, or Japanese interpretation, for example. All devices are operated using a control system developed by AstroServe that allows meetings to be run seamlessly. AstroServe makes the opportunity to learn universally. Our remote lecture systems allow participants to share on-screen data, and ask and answer questions, in both directions and in high quality, over the internet. 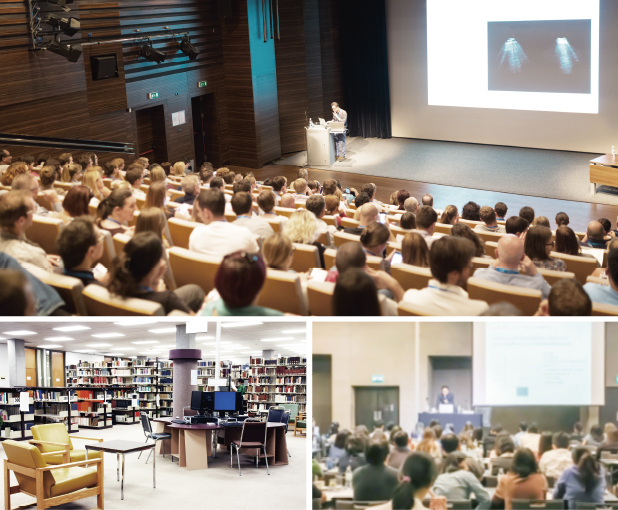 These systems reduce travel time and costs, and enable a large number of people to attend a lecture at the same time. 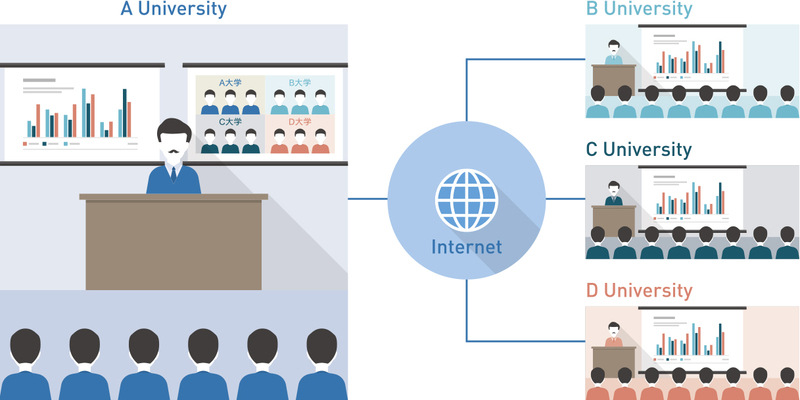 Even when held across different campuses, lectures can now feel and function like everyone is in the same place. Do you have a course you want to take, but can't go because the campus is too far away? Are there so many people taking the course that there's no space left in the room? These and other letdowns are a thing of the past, thanks to AstroServe's remote lecture systems. These systems enable two-way dialogue, including questions and answers, as well as the sharing of on-screen data, all in high quality, over the internet. 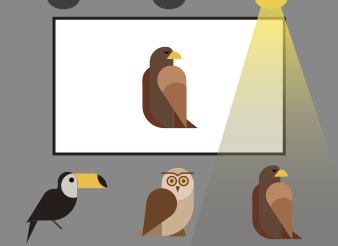 As a result, you can offer remote lectures that feel like everyone involved is really there. Our systems allow connections between multiple locations, and make it easy to stream simultaneously to a variety of places. They also reduce travel time and costs, and make it possible for large numbers of people to attend the same lectures. Make all of your content even more inspiring and breathtaking. We have a track record as a supplier to clients in a variety of fields. These include major amusement parks, concert halls, music clubs, museums, convention centers, shopping centers, and hotels. With the use of AstroServe's cutting-edge control systems, featuring controllers with outstanding flexibility and user-friendliness, integrated management of A/V devices of all types is at your fingertips. A standby screen is displayed on a projection screen. The desired video starts when the projector receives the startup signal from a program timer. The normally bright lights are set to be gradually dimmed when the video starts. This produces an unobtrusive sense of immersion. When a specified section of a DVD is played back, a signal from the DVD player is activated, and the specified light is turned on. This type of system makes it possible to create productions with a sense of realism, in which the video and the area around the monitor are linked. We offer systems that can be tailored to suit a range of situations. Audio-visual systems are essential for public facilities such as civic halls, community centers, libraries, and medical facilities. 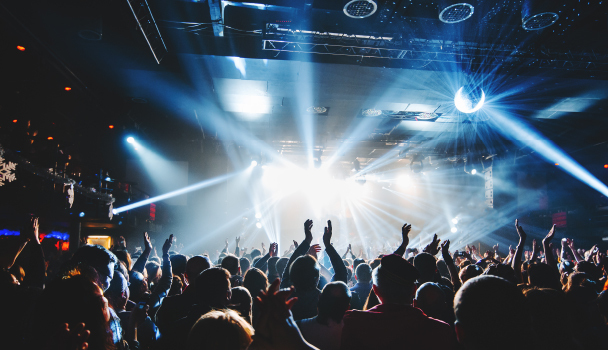 We have the ability to build audio-visual systems that can be tailored to a variety of situations, from concert halls, to hotel ballrooms, to museums, and more.